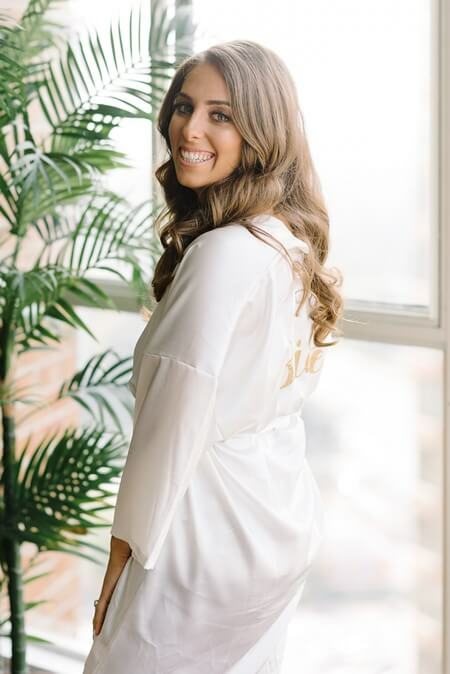 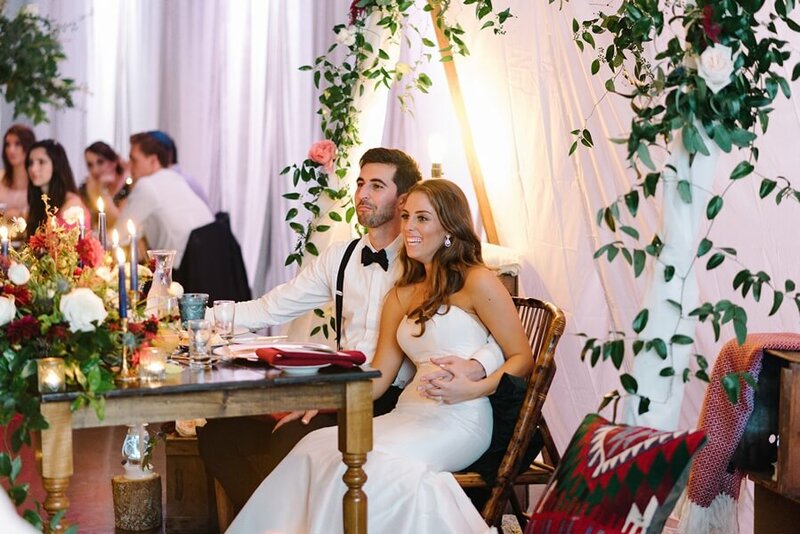 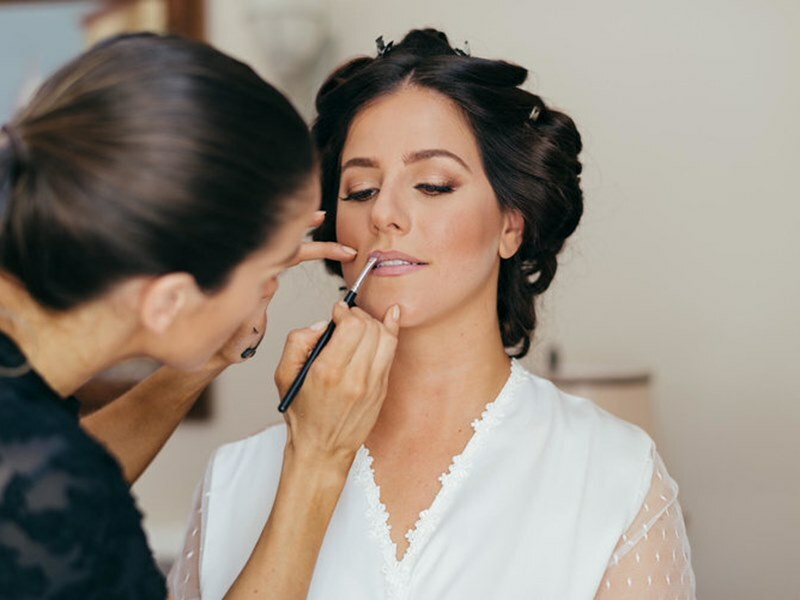 Laura and Ilan wanted an elegant affair that celebrated their adventurous spirits, love of the outdoors, and appreciation for their traditions and culture. 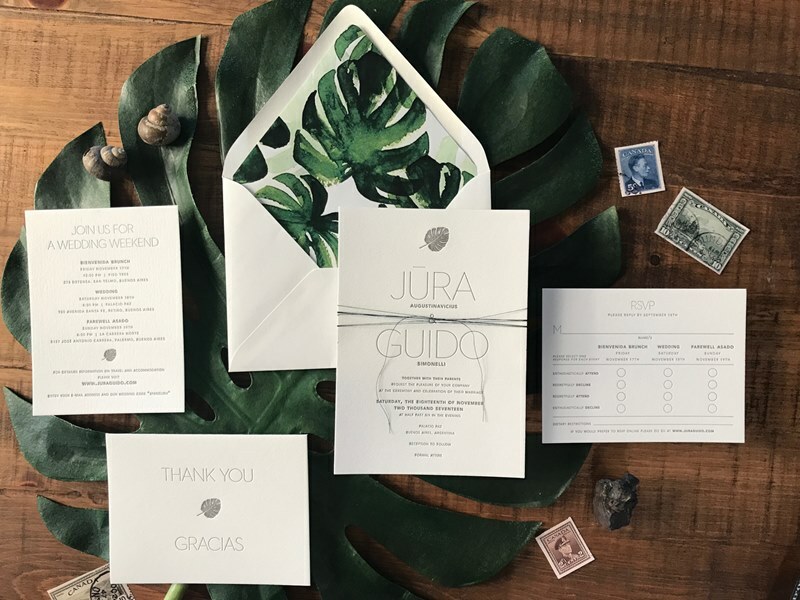 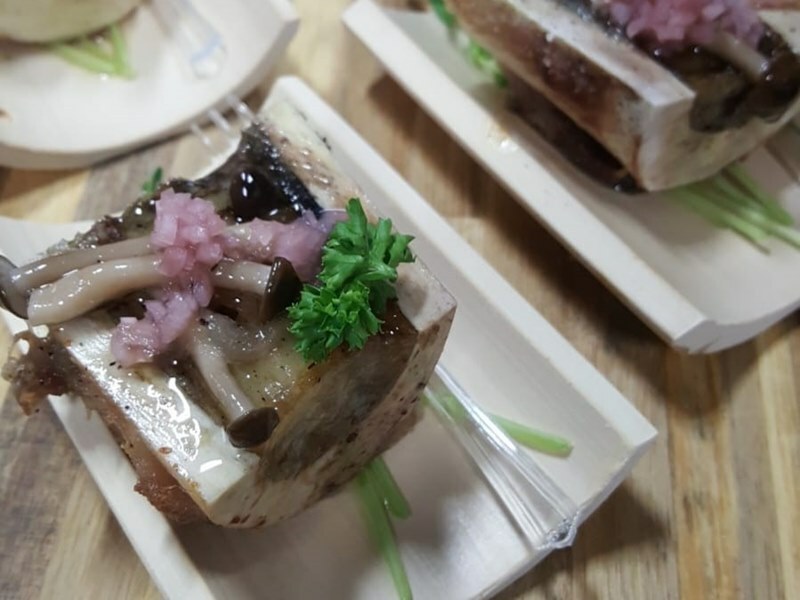 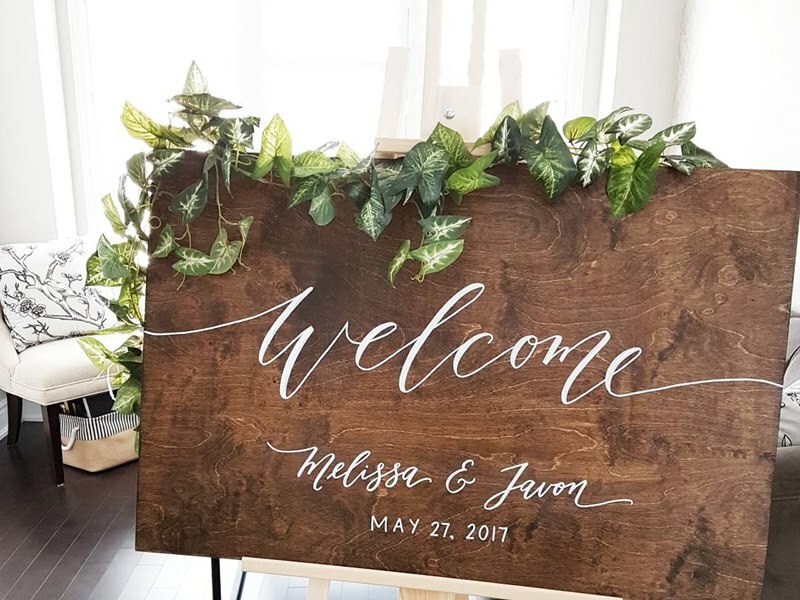 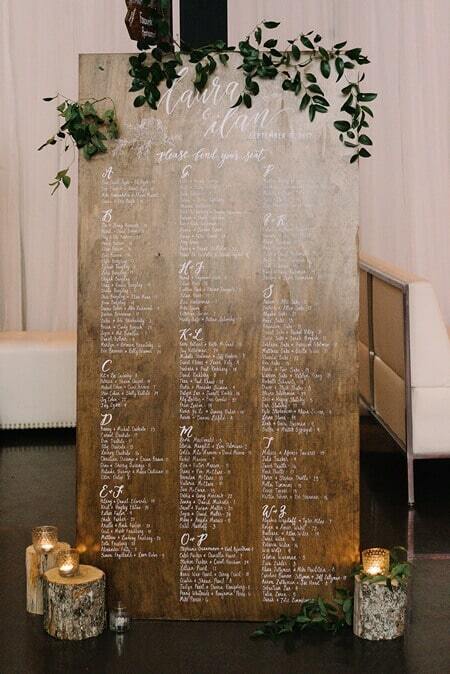 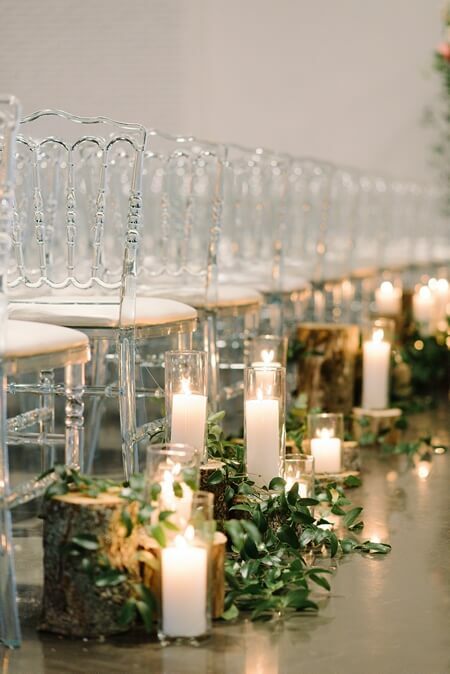 So they teamed up with the brilliant minds at Lustre Events and together they came up with their unique design, “Rustic Black Tie.” The result? 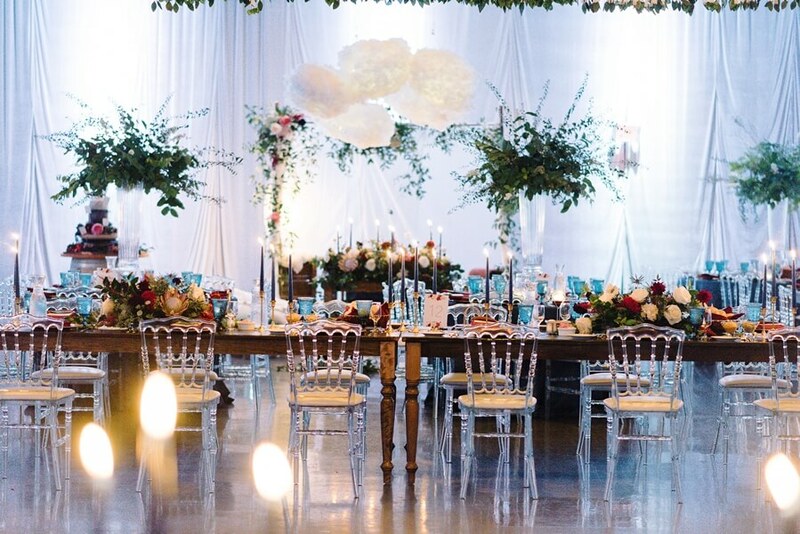 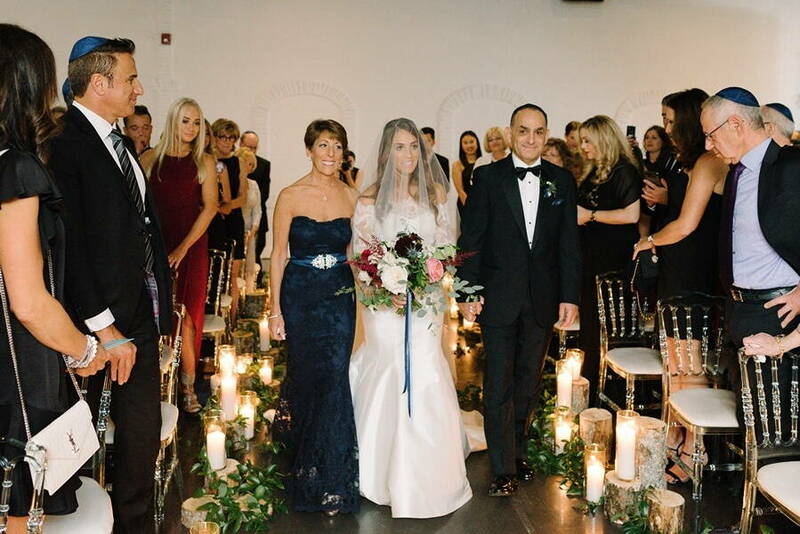 A drop dead gorgeous affair at the York Mills Gallery that was full of love, fun and laughter. 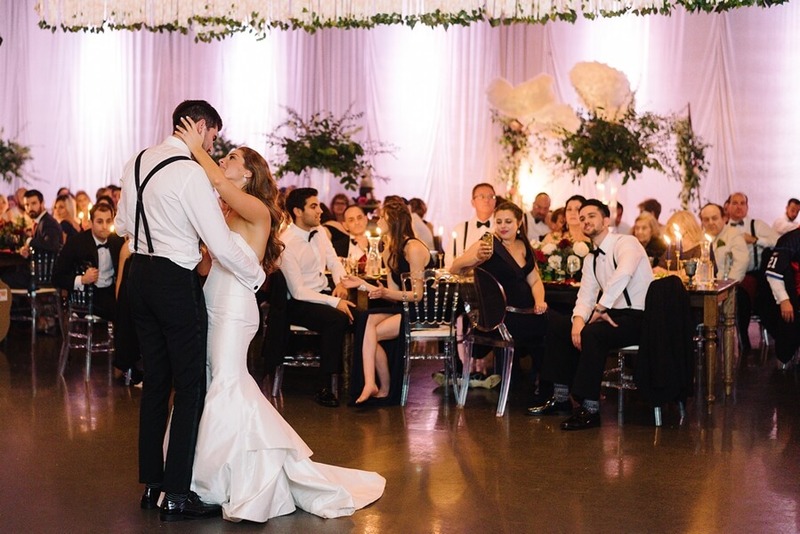 Thankfully Tara McMullen Photography was on hand to shoot each memorable moment. 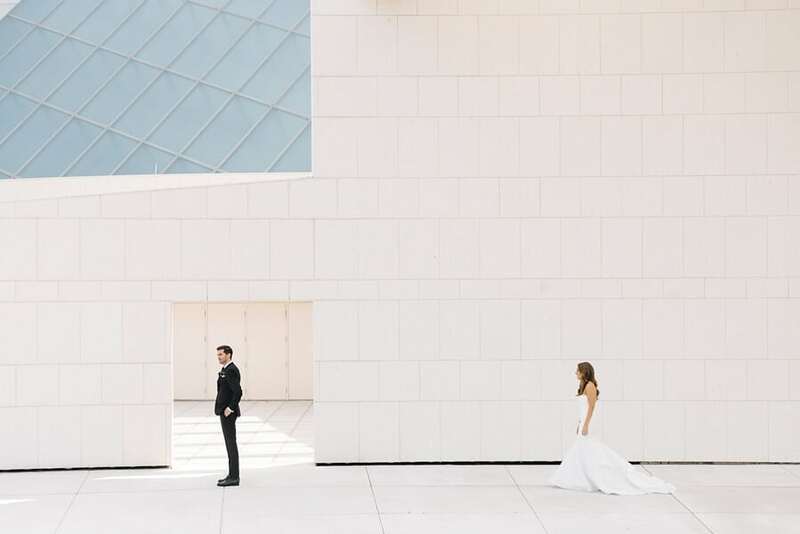 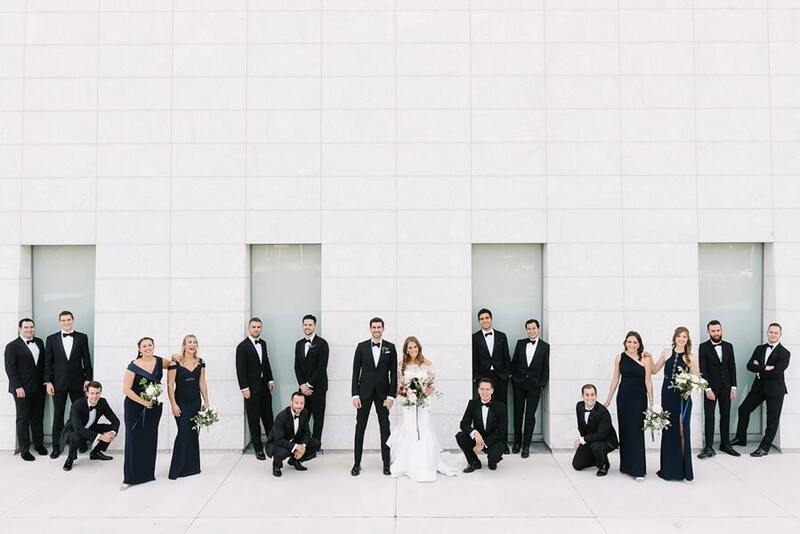 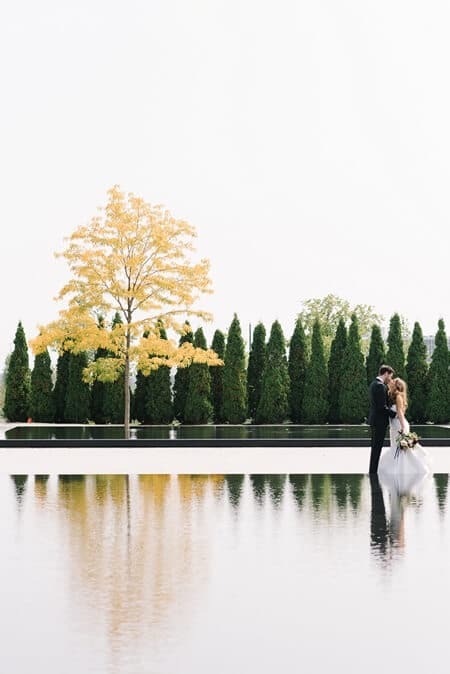 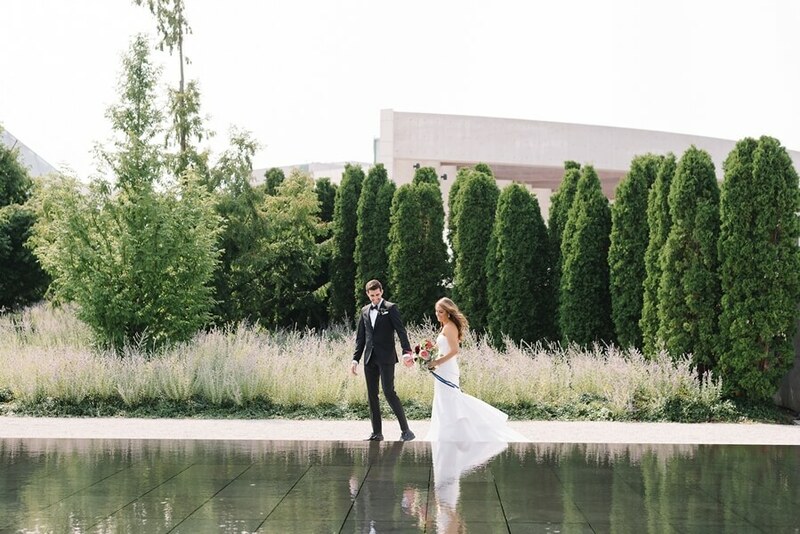 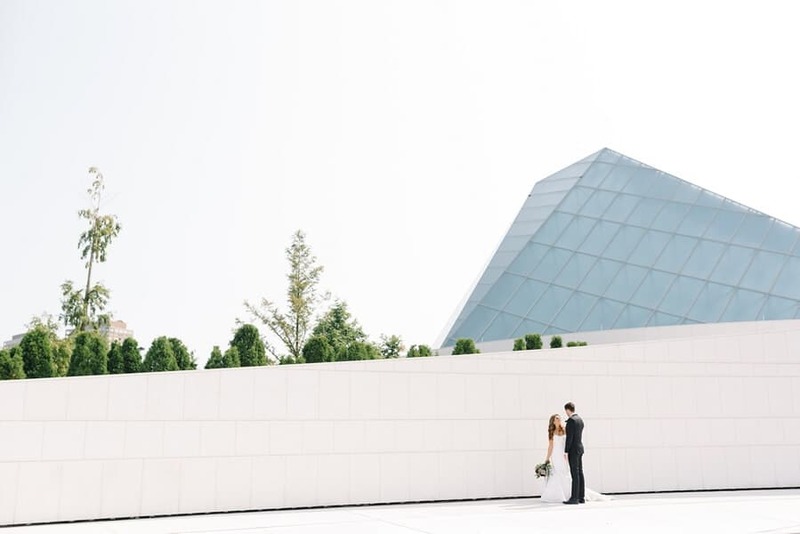 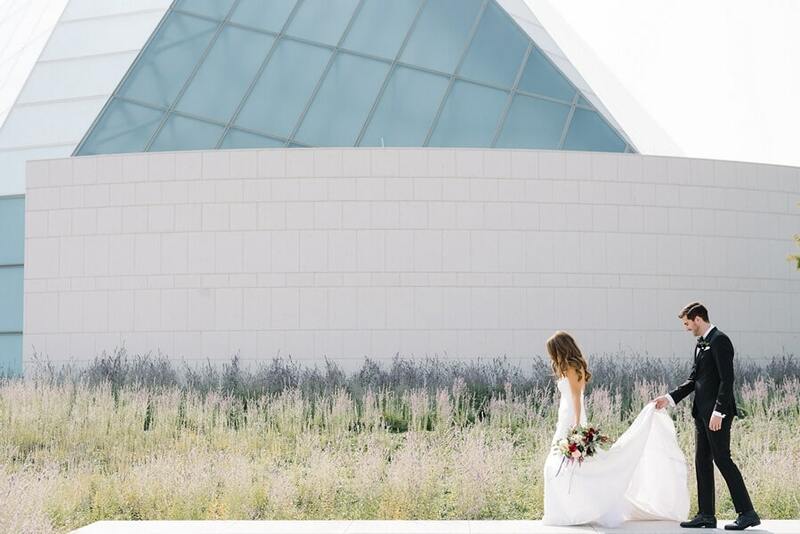 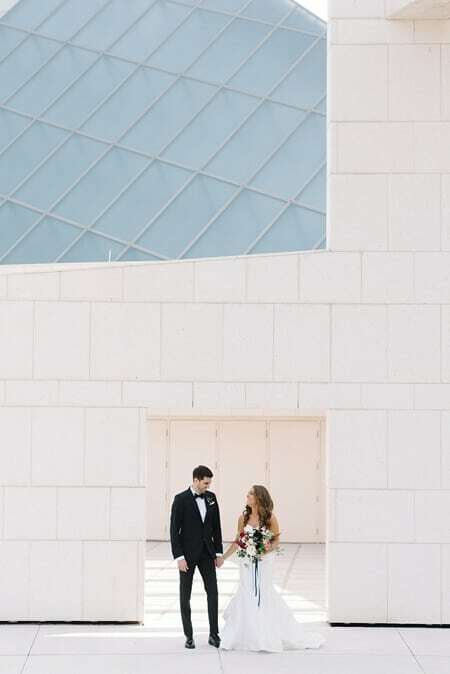 Words cant describe how much we love the couple’s sweet photo session at the Aga Khan Museum – the sleek, modern architecture of the building is both dramatic and understated – a perfect backdrop for this young, modern couple’s wedding day photos. 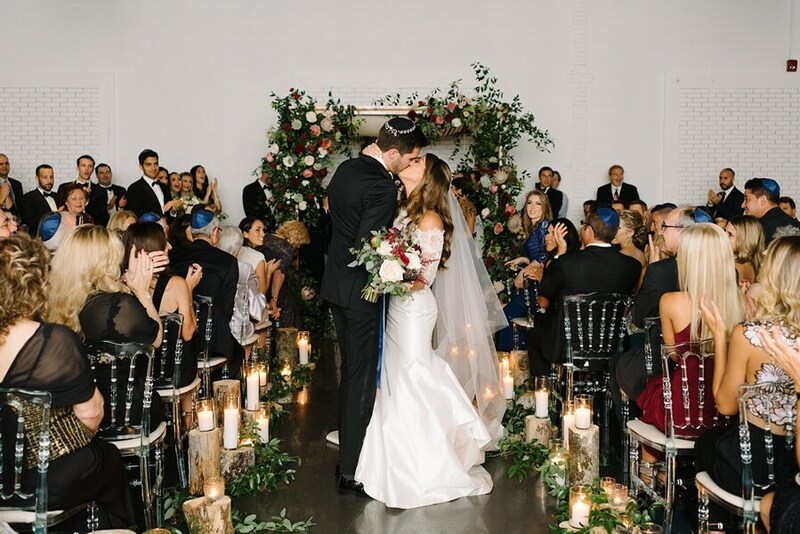 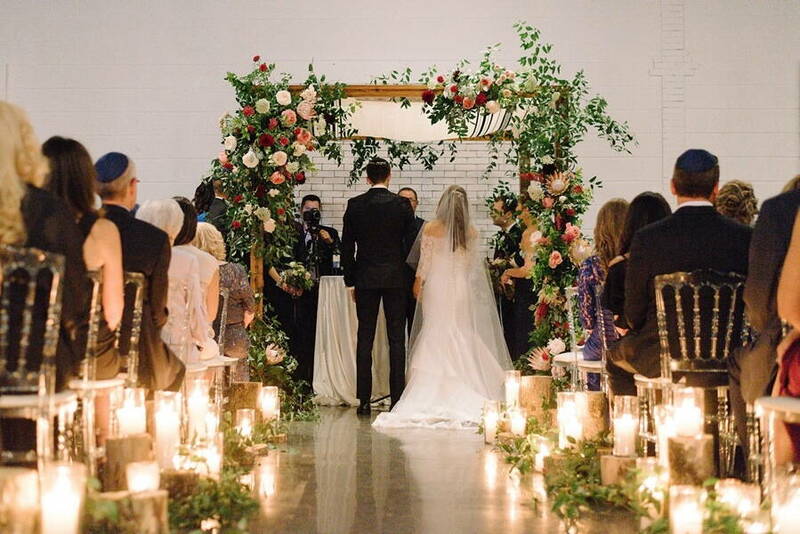 The couple’s stunning candlelit ceremony featured lush flowers from Bloom & Co. which beautifully covered the Chuppah. 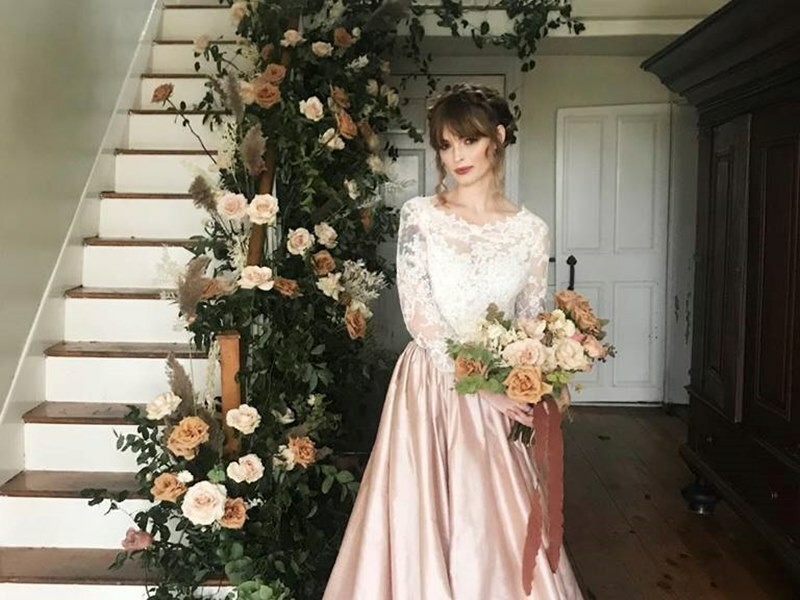 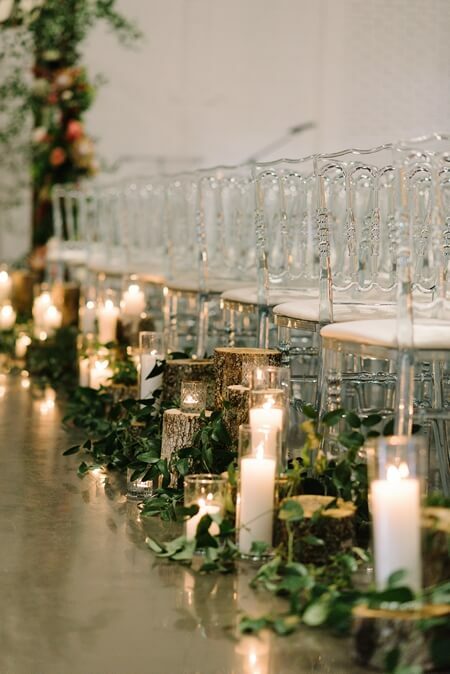 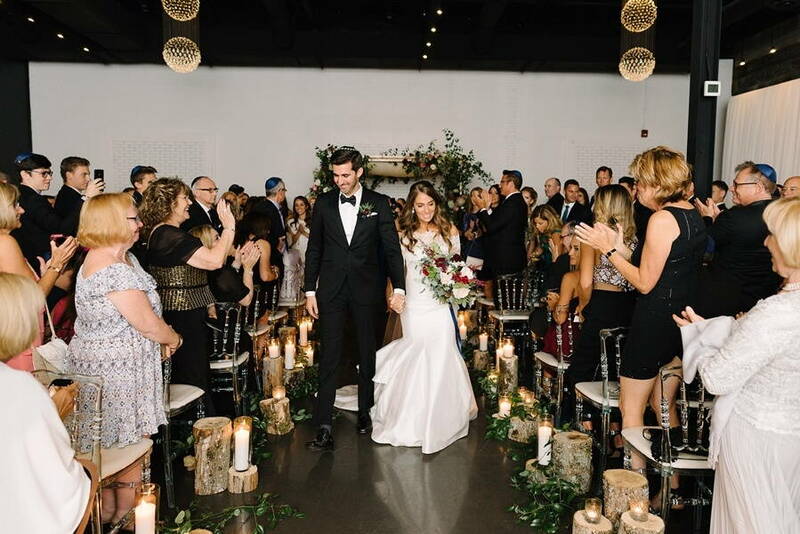 And to lend that perfect personal touch to the ceremony, the aisle was filled with logs and wood slices from the bride’s cottage. 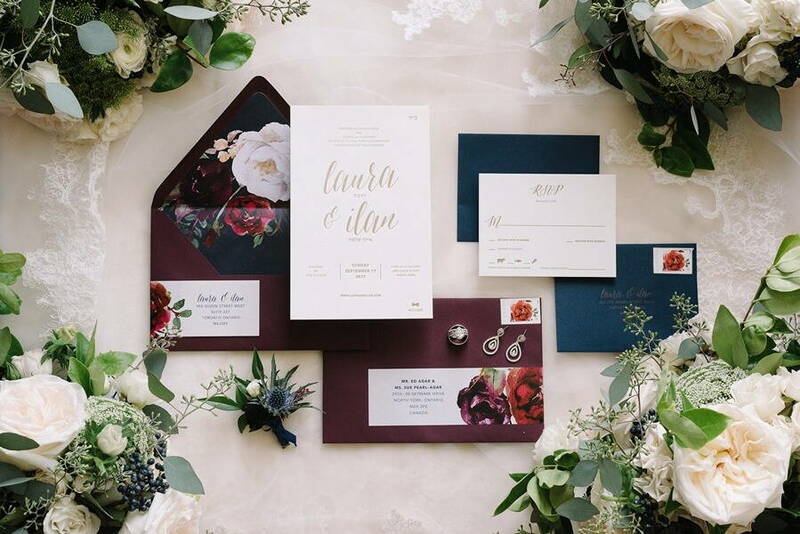 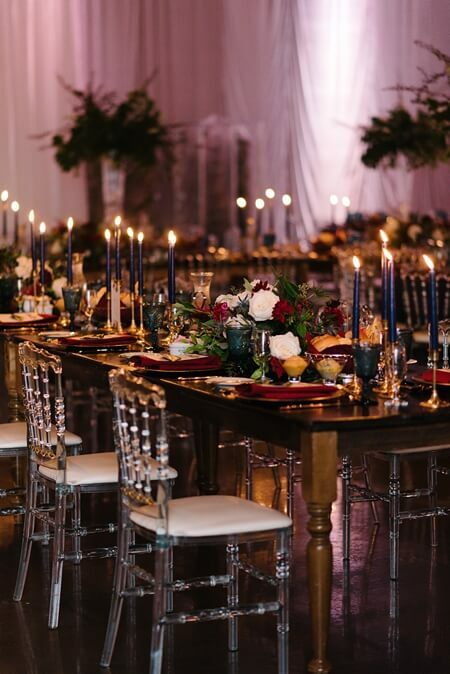 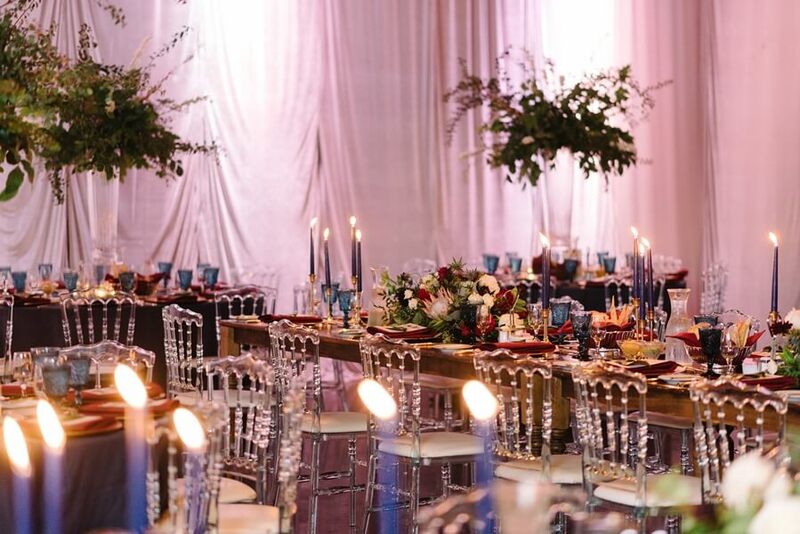 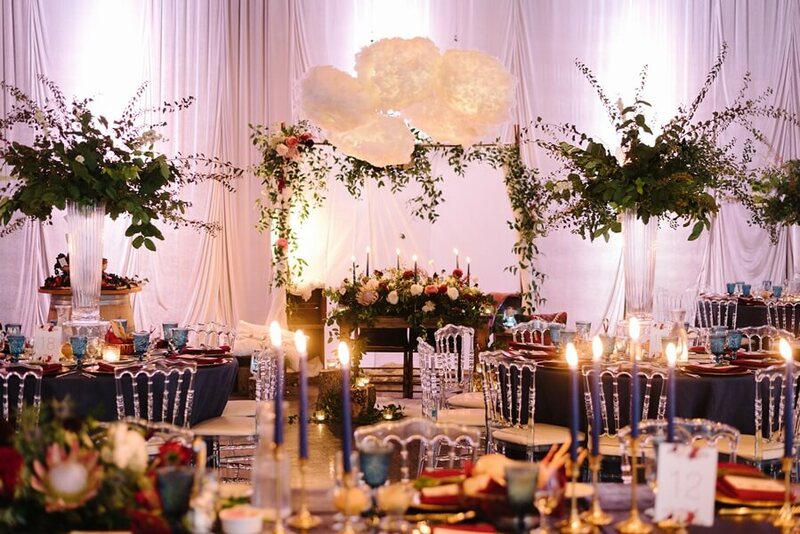 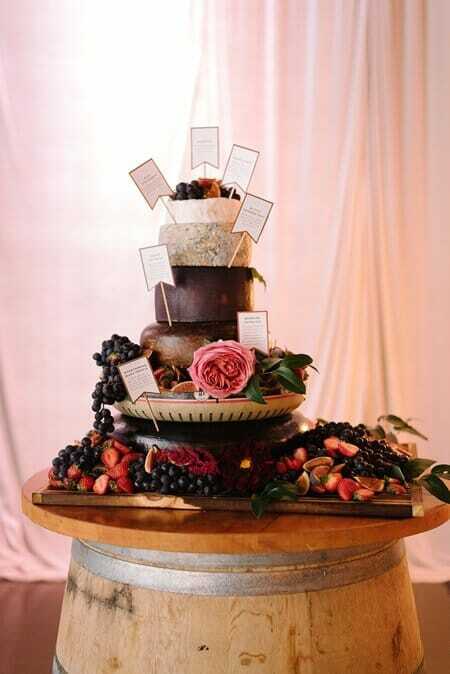 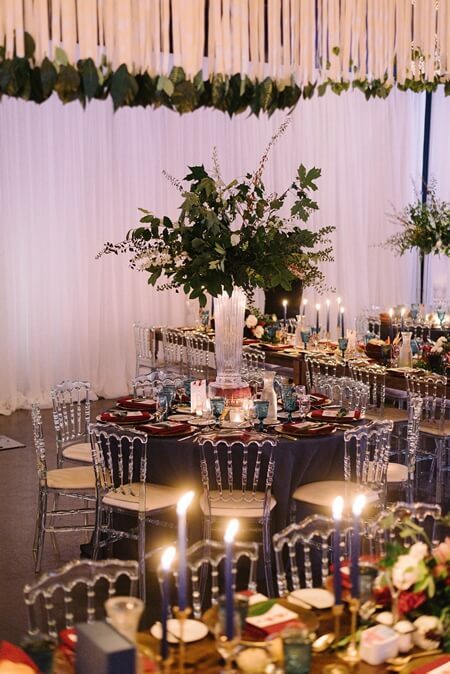 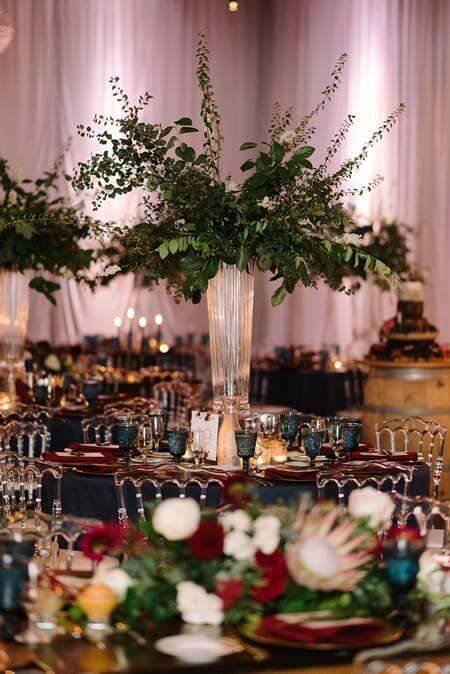 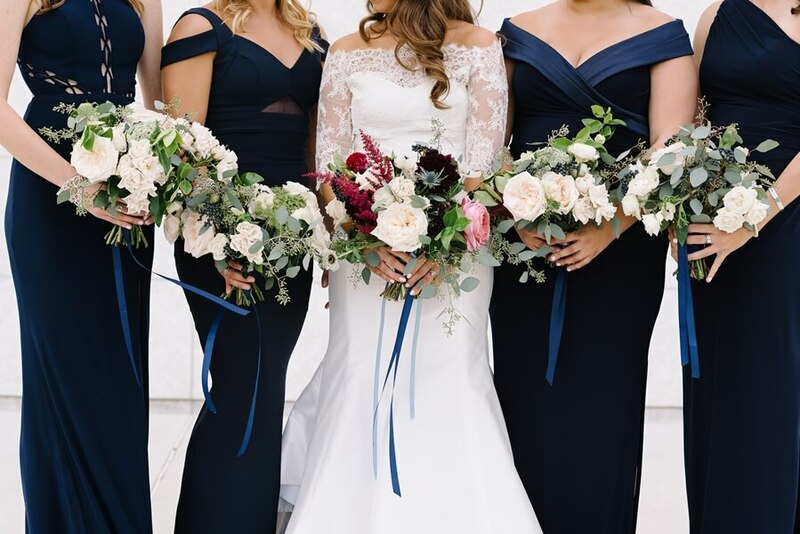 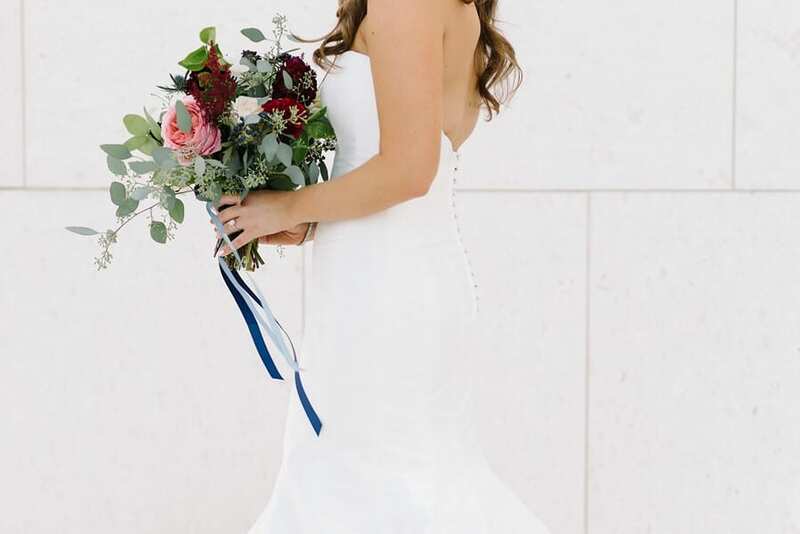 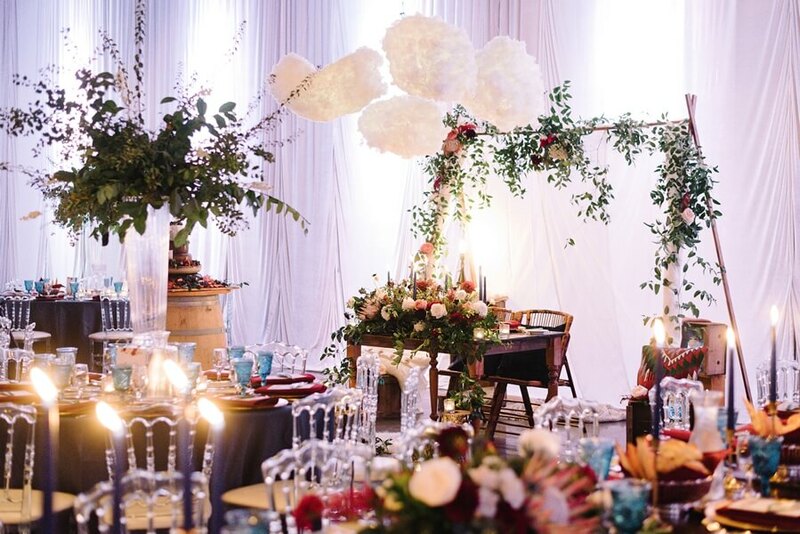 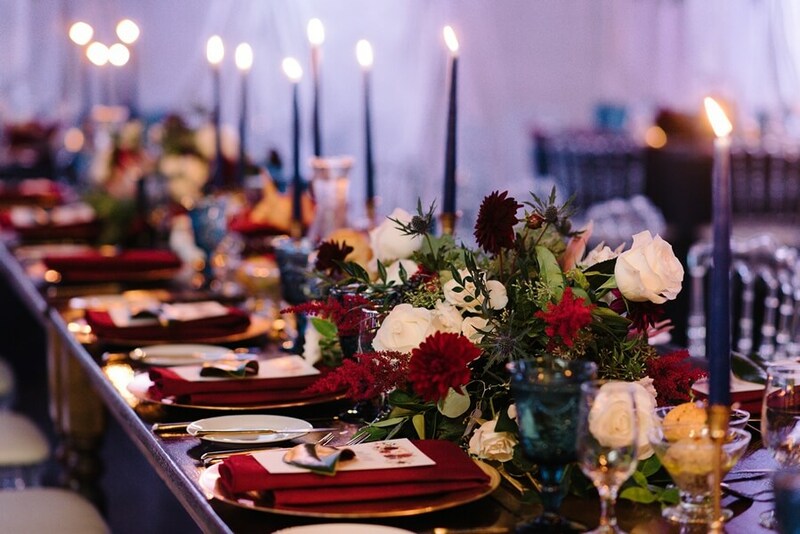 When it came to the reception, a dark, moody palette of navy blue and merlot was used to accentuate the natural greens, which gave a glam feel to the organic surroundings. 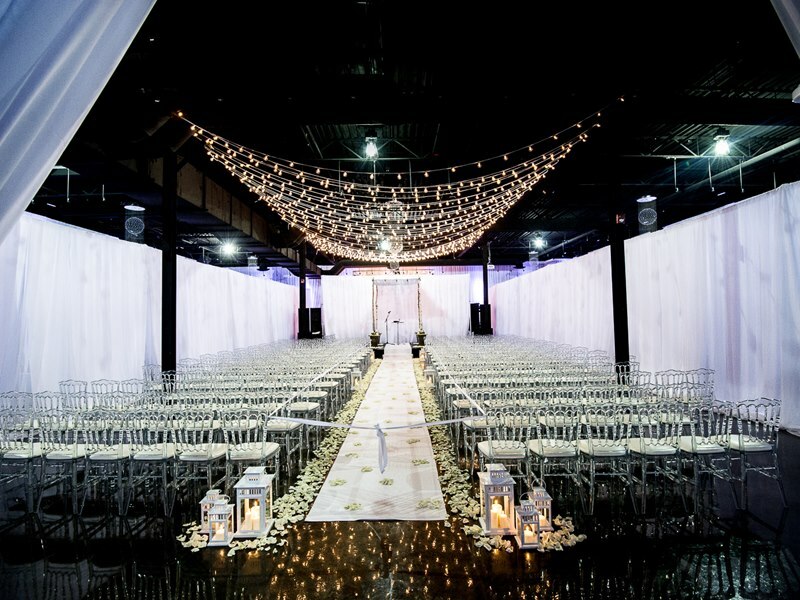 It was also the perfect mix to contrast the blank white canvas that exemplifies the York Mills Gallery. 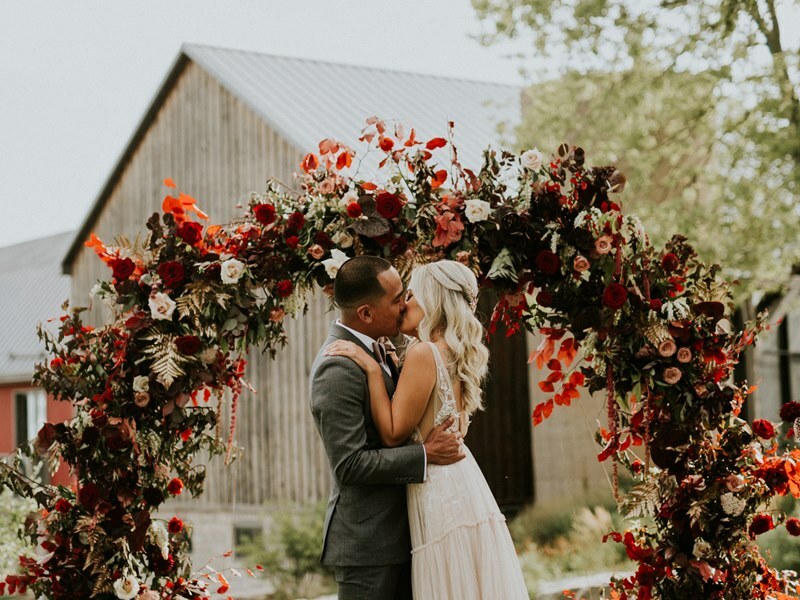 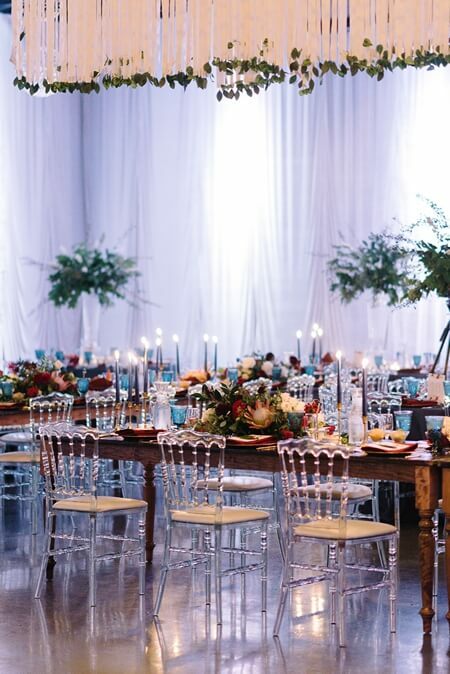 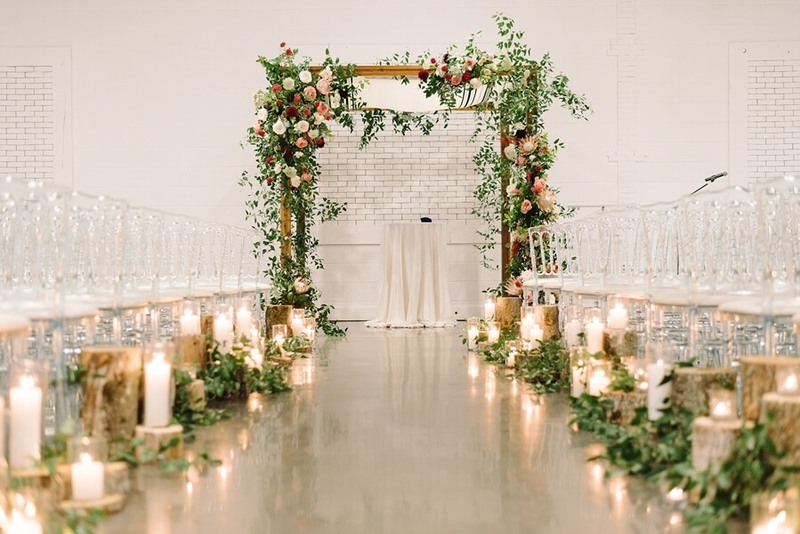 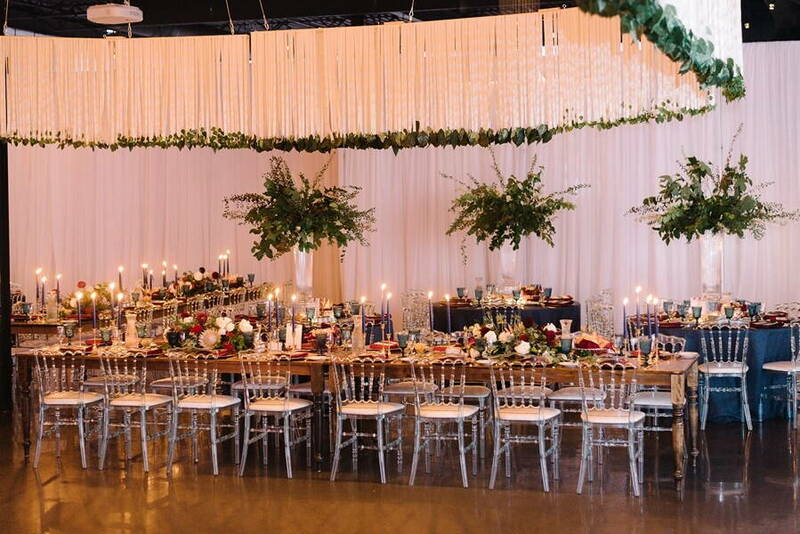 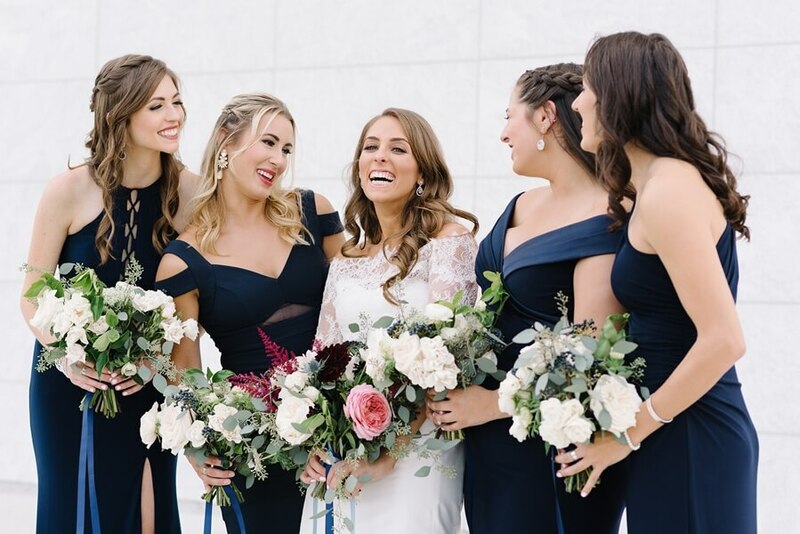 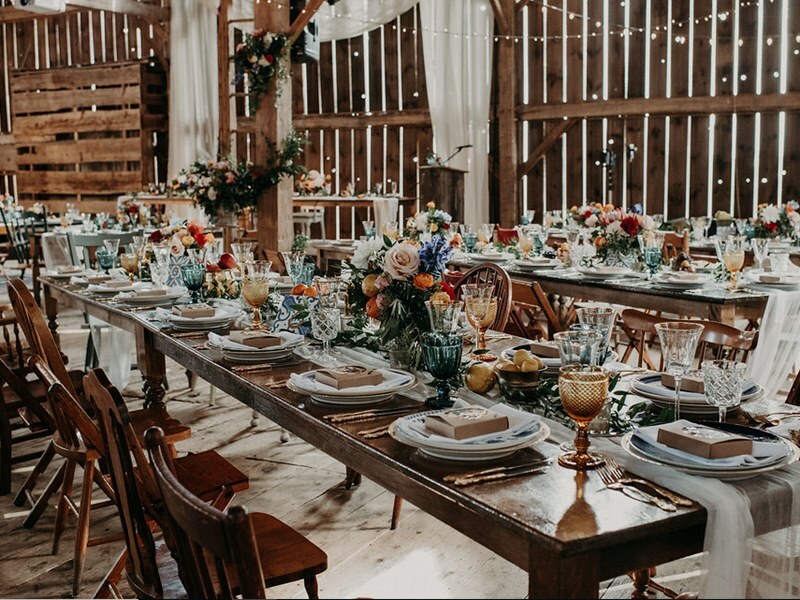 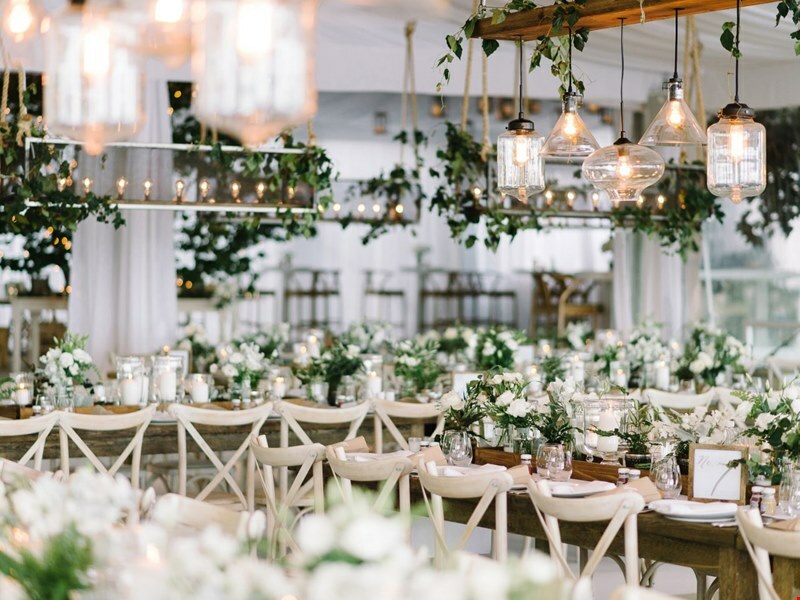 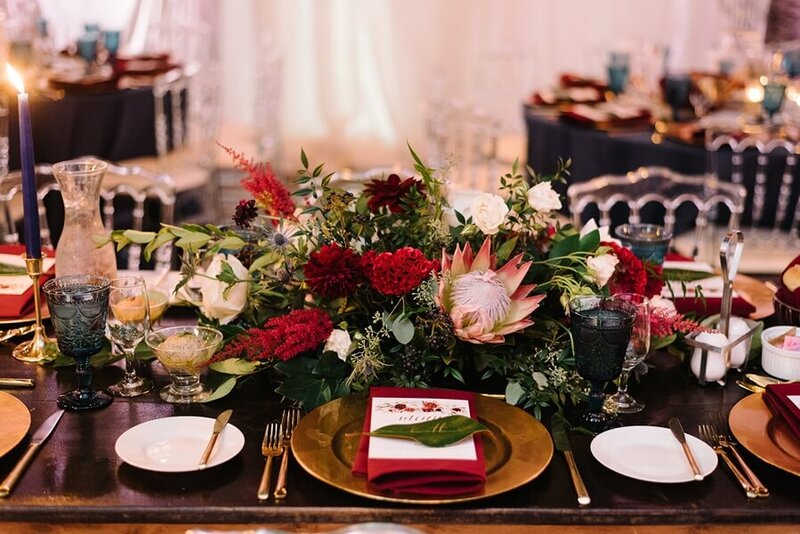 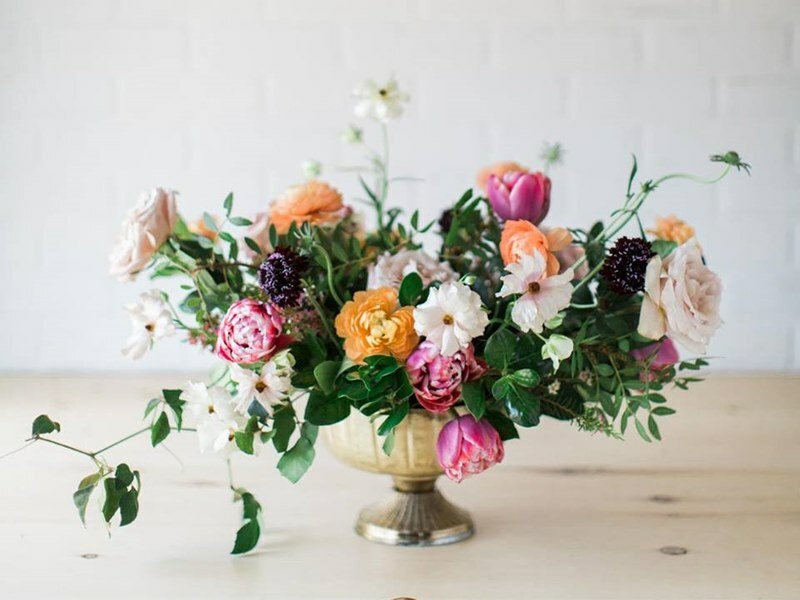 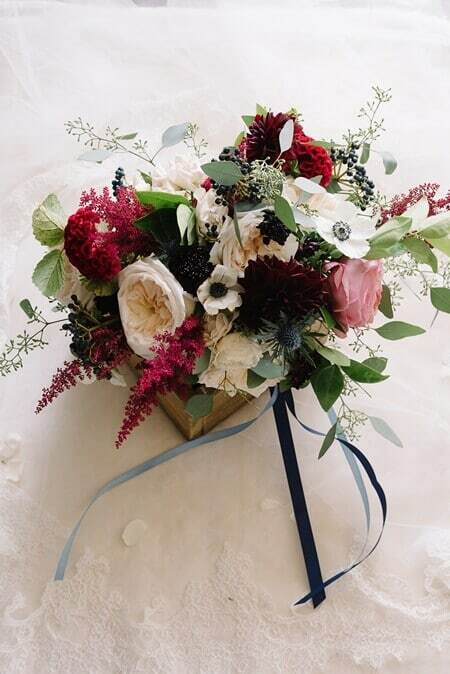 The wild and textured jewel-toned florals from Bloom & Co. mixed with the voluminous foliage, which added so much natural beauty to the chic ambiance. 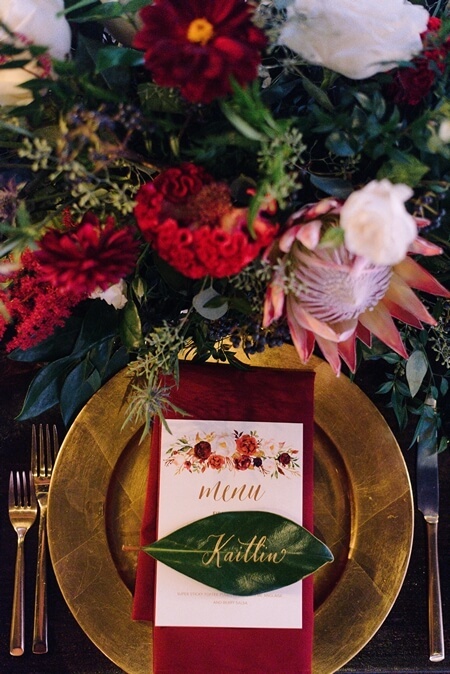 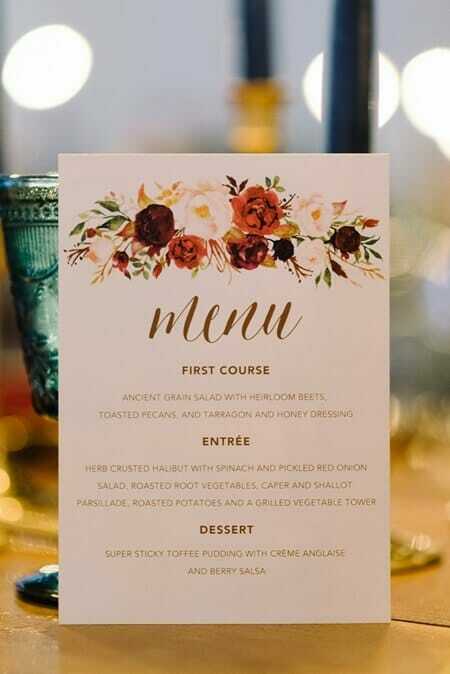 Natural wood tables from Marvelle Events and embellished place settings with pops of gold, as well as the extraordinary calligraphy from The Lettering Studio, elevated the evening to one of grandeur and delight. 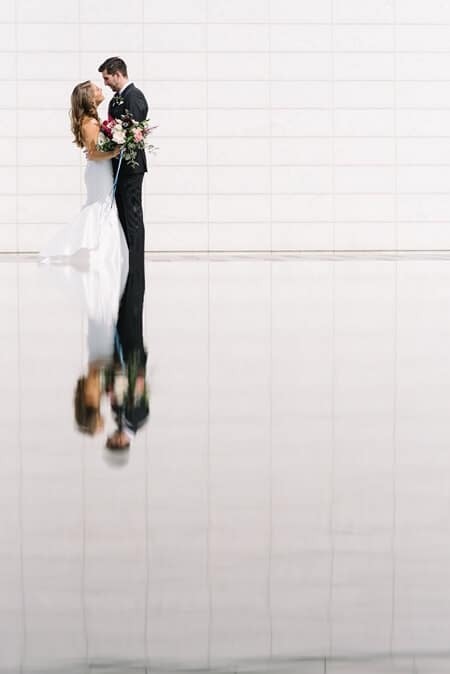 James Frodyma captures the day’s sweet moments on video.